The Oslo City Court has sentenced a wealthy Norwegian investor and his wife to five months in prison each, in a case that has highlighted abuse of Norway’s au pair program. It’s supposed to serve as a cultural exchange for young people from abroad but the couple, aided by two neighbours, was found guilty of fraudulently and illegally using two young women from the Philippines as au pairs at the same time, and putting them to work as their low-paid household help. Ragnar Horn and his wife Joey Shaista Horn had hired some of Norway’s most well-known attorneys to defend them, and filed an immediate appeal when their convictions and jail sentences were announced by the court (Oslo Tingrett) on Friday. The court also ordered the Horn family to pay NOK 34,200 (USD 4,170) in compensation to one of the two au pairs they’re accused of exploiting and NOK 372,000 to the state. Norwegian business newspaper Dagens Næringsliv (DN), which has followed the case closely, reported that the latter sum was deemed as the value the Horns had realized by illegally having two au pairs working in their home instead of just one, as allowed under the au pair system. “We are surprised by this court decision, and we react to the criminal sentence,” stated one of the Horns’ defense attorneys, Svein Holden, in a press release obtained by DN. Prosecutors had sought eight-month jail terms for both the Horns. The court cut that by almost half but neither of the terms involved suspended sentences, meaning the couple will both have to actually serve their sentences in jail unless they’re overturned or eased on appeal. Their two neighbours, who had helped the Horns illegally bring the two young women to Norway, were convicted under human trafficking laws, with the man Horn described as a childhood friend sentenced to 50 days in prison and his wife to 24 days. They were fined NOK 10,0o0 as well but not required to pay compensation to the au pairs. Holden, best known for serving as a state prosecutor of the Norwegian terrorist who killed 77 mostly young people on 22 July 2011, told state broadcaster NRK that the sentences were too severe. His client Ragnar Horn, Horn’s wife and the two neighbours had all admitted they were guilty of several violations of immigration law, but all four had denied violating Norway’s criminal code by falsifying their statements when they sought residence permission for the au pairs. Holden told NRK he thus thought the court would hand down much milder prison terms. Both Horns, he’d noted in court, had also suffered the humiliation of being arrested, placed in isolation and, in Ragnar Horn’s case, compelled to resign from a top business position. He had long ties and ownership stakes in the shipbroking firm RS Platou but admitted himself in his own press release issued in 2015 that he’d violated the law and should thus withdraw as the intended chairman of Clarkson Platou, which Platou was merging into at the time. The two au pairs, sisters who came from the Philippines like many other au pairs in Norway, also lost their case in a sense. One had claimed compensation of NOK 855,000 for the long hours she allegedly had worked in the Horns’ home, plus NOK 60,000 in compensation for “physical and psychic injuries” she allegedly suffered on the job. Her sister claimed NOK 116,000 in compensation plus NOK 10,000 as a punitive fine. Their attorney had claimed in court that she could prove her two clients each worked an average 63.5 hours a week in the Horns’ home, double the 30 hours allowed under the au pair system for what’s defined as “light housekeeping or child care.” Their compensation claims, rejected by the Horns, were also rejected by the court except for the smaller amount granted to one of them. 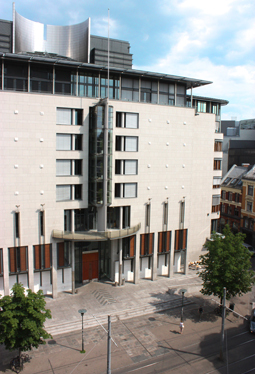 The case has been an important one, though, in terms of setting new court precedent in the ongoing battle against au pair exploitation in Norway. There have been many other cases in which au pairs, often brought to Norway by affluent Norwegian families, embassies and businesses, are instead used as low-paid domestic servants, child minders and even health care workers. In the worst cases, au pair have also suffered assault and sexual abuse. Norway’s largest trade union confederation, LO, has called for scrapping the au pair system altogether, because it’s difficult to enforce and can lead to social dumping. Last year alone, though, 29 people in Norway were placed in quarantine for violating terms of the au pair system, prohibiting them from having au pair in their homes for as long as the quarantine applies. The Horns were initially indicted on immigration and human trafficking charges, which Holden called “misleading” because they made the case seem more dramatic than he contended it was. DN reported from the courthouse last month that Holden believed it was about “having two au pairs at the same time, while it’s only allowed to have one.” The Horns obtained two au pairs by, as the court ruled on Friday, conspiring with their neighbours that each household would obtain permission to have one au pair. In reality, both young women worked for the Horns. For prosecutors and the au pairs themselves, the case was much more than how Holden portrayed it. The lengthy trial last month exposed how the two au pairs felt like “slaves” and “in prison” in the Horns’ large home in Oslo’s fashionable Frogner district. It also offered unusual insight into the lives of au pair, and their so-called “host families.” Some newspaper commentators have called the system “‘Downton Abbey’ in Norway in 2016,” a reference to the TV series about live in Britain’s rigid class system of the early 1900s. Young au pair, most of whom are women, are supposed to attend Norwegian language classes, submerge themselves in Norwegian culture and live in a Norwegian home, in return for some light housekeeping and perhaps child care. In this case, there were no language classes, testitied the au pair, and days filled with domestic chores. Testimony involved how the Horns had installed surveillance cameras inside their home and how one of the au pairs felt she was constantly being watched and under suspicion. Her contract called for her to work five to six hours a day, Monday through Friday, for NOK 5,000 (USD 609) a month plus room and board. In fact, she claimed, she worked from around 7:30am to 7:30pm. Even though she was supposed to be free for two hours in the middle of the day, she said the time normally had to be used to plan the family’s meals. Menus and recipes for the meals, she continued, had to be written down in a notebook to be approved by Mrs Horn, who allegedly feared the women would soil her cookbooks and grew angry if they were used. Both au pairs also testified that they had to use face masks while cleaning to avoid spreading any germs, had to pay for a broken plate from their own wages and for a ham they’d bought for a family meal without permission. DN reported that one of the au pairs testifiying in Oslo started crying in court, called Mrs Horn “a perfectionist” who humiliated her and steadily threatened to send her back home to the Philippines. Both women said they needed the USD 609 a month they were paid, though, to help their families back home. Evidence prosecutors referred to in court, however, included a chatting exchange Mrs Horn had with a friend that revealed her referring to her household help in derogatory terms and accusing her of coughing on the food or while in the bathroom. Mrs Horn told her friend the au pair would have to use both a face mask and disposable gloves while in the home or with Horn’s children. The conversation used as evidence in court also recorded Mrs Horn telling her friend that she had threatened to send the au pair back to her “straw mats in Manila.” Mrs Horn defended herself by saying it had been a “private conversation” with an old friend and that she actually “loved straw mats” and had one in her own home that she used for yoga. She also acknowledged writing up lists of all the chores the women should do in the course of a week, but said that her work in the finance industry made her fond of lists and that she didn’t really care when the chores were done, only that they were completed. Among them, according to newspaper Dagsavisen, was making sure candles were lit before announcing that dinner was served. Ragnar Horn was long included on Kapital magazine’s list of Norway’s wealthiest, ranking 176th out of 400 people on the list in 2015. He comes from a philanthropic family with long ties to the shipbroking firm RS Platou, seats on several boards of directors and major investment interests. He appeared in court when the trial began with a hand-written manuscript in which he altered the first statements he’d given to police investigating the case. He testified that he deeply regretted providing false statements and violating the au pair system. He mused over how he could have been so thoughtless. He claimed economic gain was “never a factor” in the family’s use of au pairs and that his wife had been responsible for administering them. As the two-week trial wrapped up last month, Horn testified that it had been “uncomfortable” to be portrayed as a sort of “poster-boy for everything that’s wrong with the au pair system in Norway.” He testified that false claims had been lodged against his family, but the media coverage he has so disliked was initiated when the British shipbroking firm Clarksons had sent out a press release that he had withdrawn as a candidate for the board of a merged Clarksons Platou. That prompted Horn to send out his own press release in December 2014, just days after he and his wife had been arrested and called in for questioning. Now Horn, claiming that he’d needed to resign his board positions, will use more of his financial resources to appeal Friday’s conviction and jail term. His wife, a member of the board of trustees of the elite liberal arts school Williams College in the US, has positions at stake as well. The au pair have returned to the Philippines. It’s unclear when the case will come back up in court.